Digital photography has completely changed how we deal with our photographs. In the good old days of film cameras you&apos;d send your film off to be developed, get some printed snapshots back and then stick the best ones into a photo album that might take years to fill. Today, though, even if you&apos;ve got the best camera on the market, you&apos;re likely to have a big &apos;PICTURES&apos; or &apos;PHOTOS&apos; folder on your computer, stuffed with thousands of shots. And while you might upload a few of them to Facebook or photography websites, the vast majority of them will simply linger on your hard disk forever. 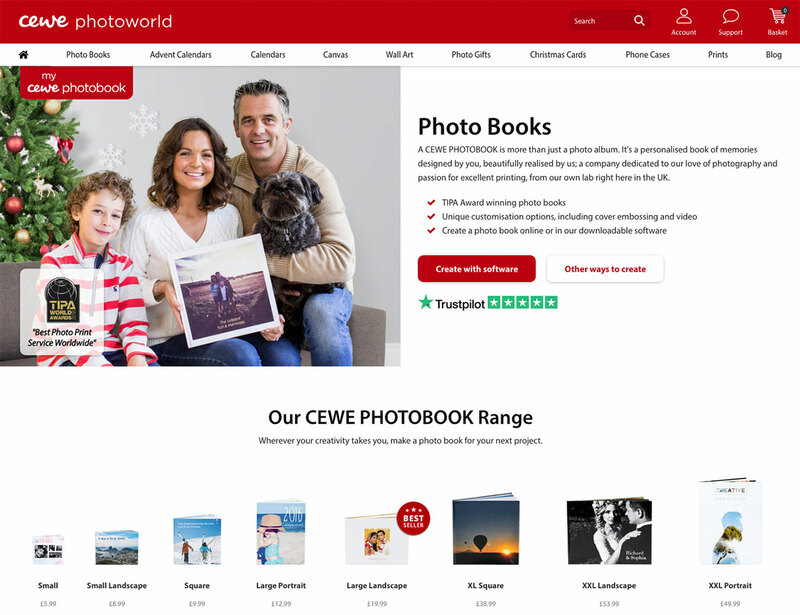 If you miss the tactile experience of physically flicking through a photo album, though, it&apos;s easy to get your best photos printed in a professional-looking photo book; here are the best options available right now. 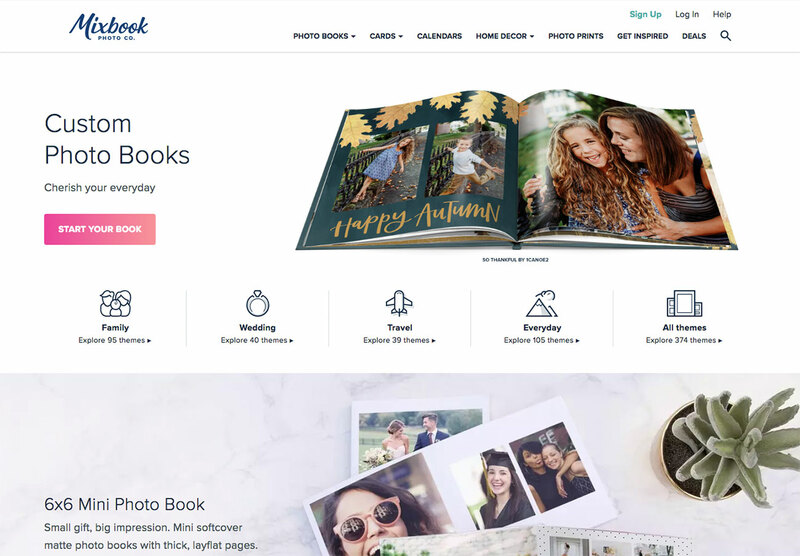 Mixbook isn&apos;t the cheapest option, but its software is wonderfully easy to use with simple but fully editable templates that make the whole business of collating your photos into a book an absolute joy. There are plenty of backgrounds and even stickers to work with if you want to customise your finished book, and the end results are great, with a professional finish. Picaboo&apos;s print quality isn&apos;t the best, but it makes up for this with the options it gives you when you&apos;re putting your photo book together. Its software manages to be easy to use while giving you loads of options to play with, including searchable background and clip art to help you nail exactly the look you&apos;re after for your finished book, as well as the ability to polish your photos so that they match your backgrounds. 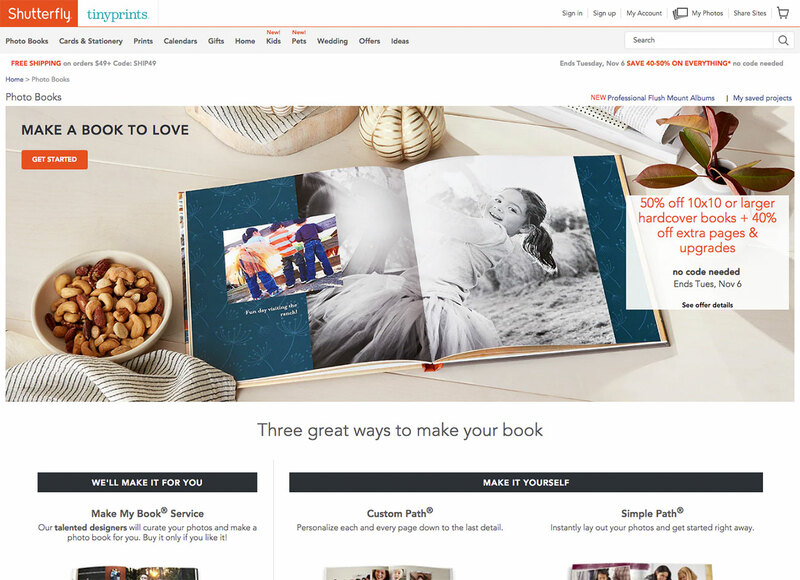 For a great all-round option it&apos;s hard to go wrong with Shutterfly. 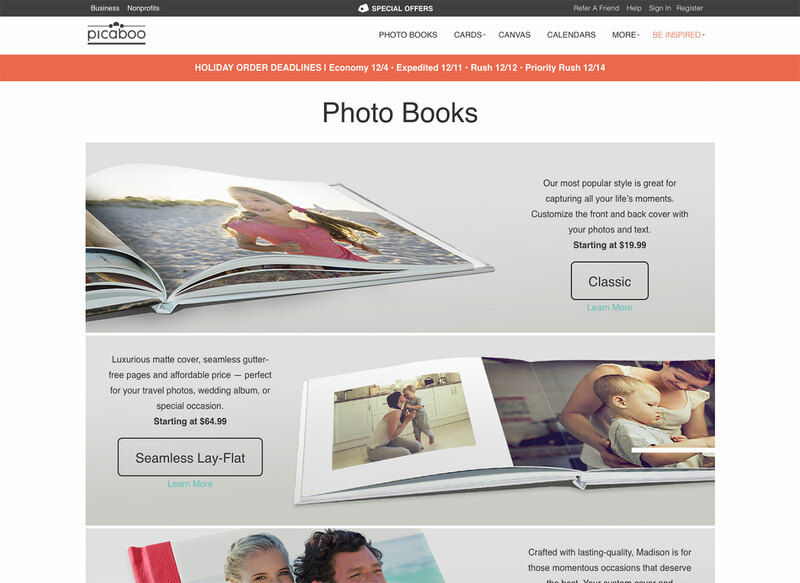 It provides simple and more involved tools to help you design your photo book, with loads of templates and backgrounds to choose from. But if you&apos;d rather leave it to the experts, it also provides a Make My Book services. 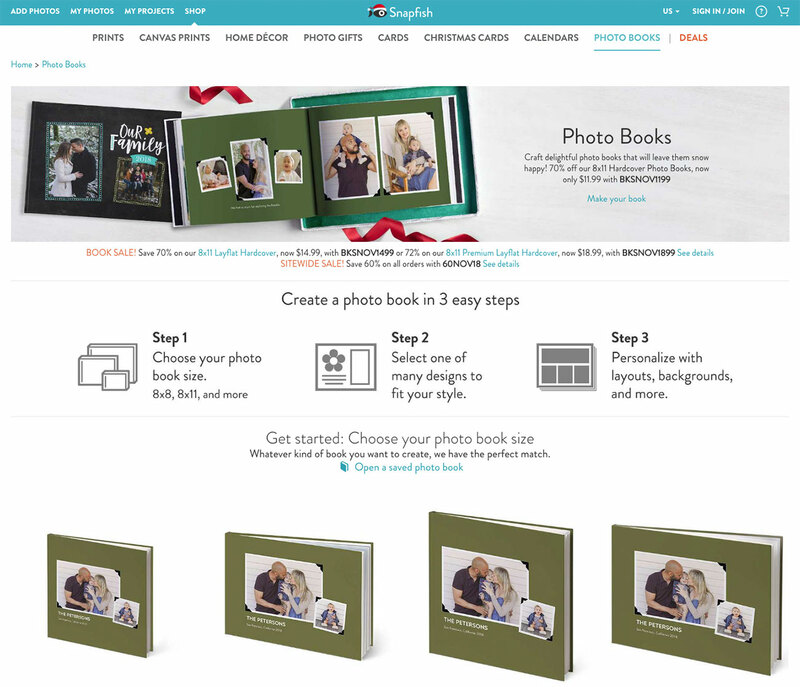 With this option, you choose a size and style and hand over up to 800 photos and any special instructions, and Shutterfly&apos;s designers will have your book ready for review in three days. Snapfish won&apos;t design your book for you, but its process is almost as easy. It provides over 120 themes with a massive selection of backgrounds to work with, and once you&apos;ve settled on your chosen style it&apos;ll guide you through the design process with a straightforward drag-and-drop interface. The end results aren&apos;t quite up to the quality of other services listed here, but you should be able to get a good deal on the price. 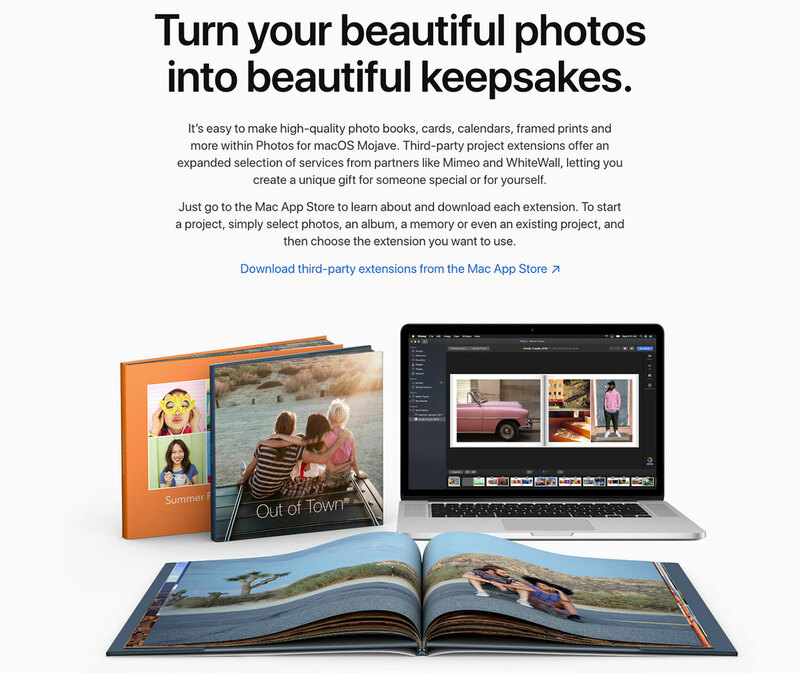 If you&apos;re on a Mac, perhaps the easiest way to turn your photos into a book is to use the Apple Photo book options. It&apos;s simple to use and follows Apple&apos;s minimal style, which will result in a clean design, but it might all feel a little limiting if you want more control over the end results. At the end of the process, you&apos;ll get a great-quality book with decent photo reproduction; not the best, but certainly not to be sniffed at. If you&apos;re picky about end results, then you&apos;ll find it hard to go wrong with CEWE. It&apos;ll guide you through all the options on offer, and there are absolutely loads of them, with plenty of paper stock to choose from and luxury cover options for the perfect finish. For the most demanding print aficionados, there&apos;s even the option to add spot varnish and foil treatments. Obviously these extra options don&apos;t come cheap, but if you have the means, you&apos;ll find they&apos;re well worth the effort. 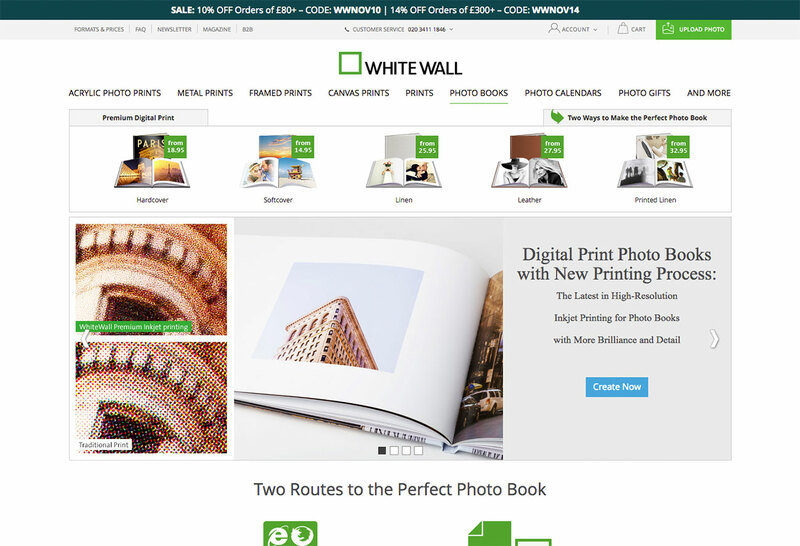 For ease of use, Whitewall&apos;s online book creator is a godsend; simply upload all your photos and it&apos;ll automatically arrange them for you throughout your book (up to 252 pages), leaving you to tweak the final layout if you want. Its default 170gsm paper is a little flimsy; we&apos;d recommend paying a little extra for the 250gsm option, and the print quality&apos;s generally good, although skin tones are a little on the cold side. Best of all, you can expect your finished book to turn up in just a few days. To really turn heads with your photo book, head to BobBooks and go for its Lustre Photographic option; it&apos;ll cost you more but the results are stunning, with heavyweight 300gsm paper stock and a lustre finish that can&apos;t help but show off your photos to best effect. BobBook&apos;s print process is similarly top-drawer, boasting vibrant, accurate colour reproduction and beautifully sharp images. The business of actually creating your book is also good and straightforward, with an easy-to-use online interface as well as desktop and iPad apps and even a pro design service. 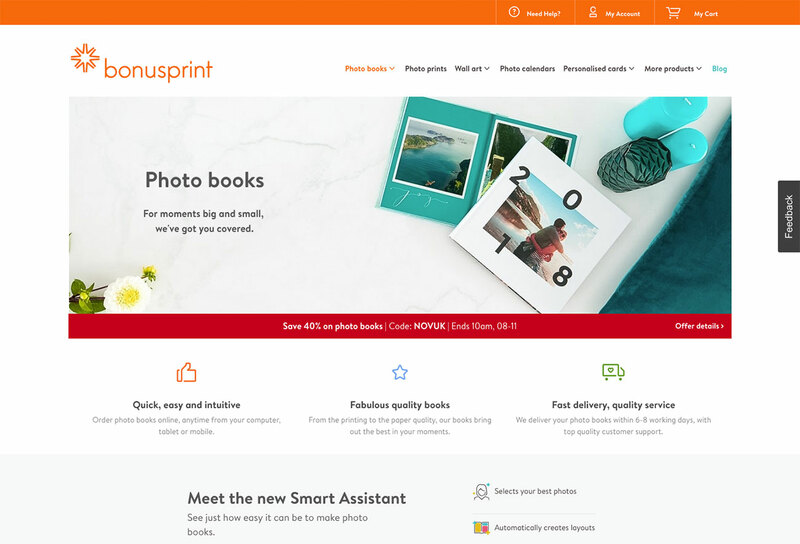 Bonusprint&apos;s a venerable name in the photo business dating back to the 1960s, and while you may not go to it any more to get your film developed, it&apos;s a great place to get some excellent deals on photo books and much more. 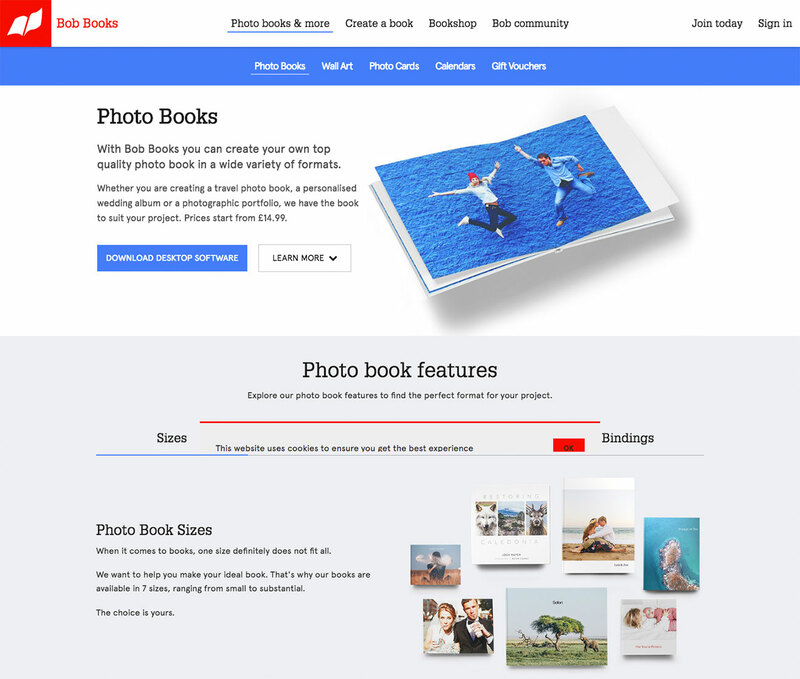 Its online and offline book design software is easy to use, and its smart assistant will select your best photos and lay them out for you, allowing you to edit the layouts and add extra images, clip art and text afterwards. As for the print quality, it&apos;s not quite up to BobBook&apos;s standards, but there&apos;s little to complain about. 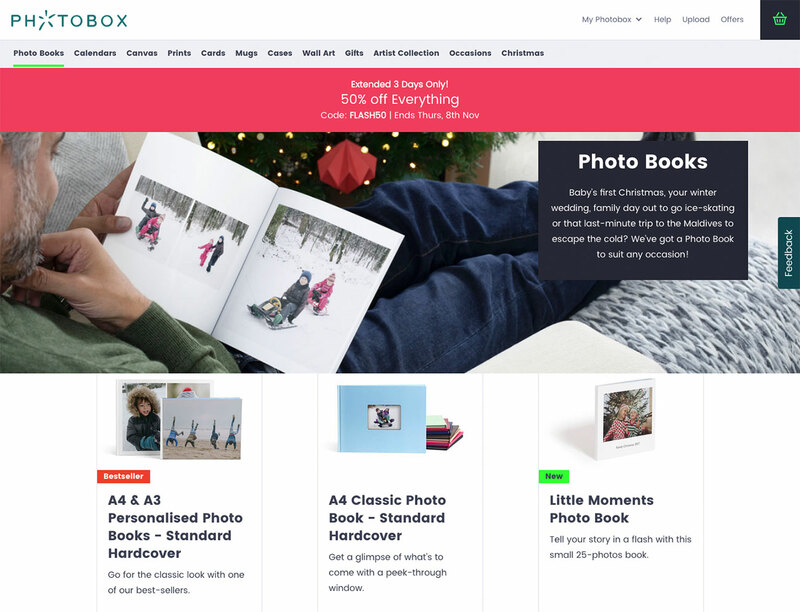 Like Bonusprint, Photobox is another site that&apos;s liberal with the discount offers, so you&apos;d have to go out of your way to pay full whack for your photo book. Its online book creation software&apos;s pretty slick with lots of layout, background and cropping options, and will give you a 3D preview of your finished book so you can be sure of what you&apos;re getting. Photobox&apos;s standard 170gsm stock is a little thin; we&apos;d recommend upgrading to its premium 230gsm paper for best results, and even with that you&apos;ll find the print quality lacking in sharpness.